Welcome to Palm Palm Springs Salsa Bachata Extravaganza "SBE" 2018! We love to dance and Salsa-Bachata Extravaganza is where we do it – ALL NIGHT LONG! If you have never attended a dance event before, this is the place to start. Join us and find out why! Our dance parties are infamous in Palm Springs. The hottest DJ’s, the top music, the best dancers, and dancing till sunrise make THIS the place to be. 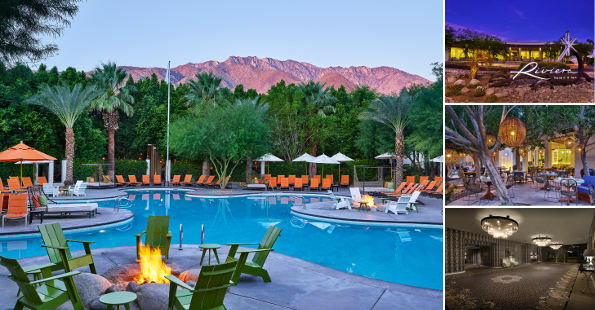 We invite you to join us at the beautiful Renaissance Hotel in the heart of Palm Springs and gather with friends around a passion for learning and dancing. Come and enjoy the many things this event has to offer. The local attractions, sunny skies, oasis style pool, and friendly staff makes it a wonderful vacation destination. There’s something for everyone! We are VERY excited to announce our NEW location, the beautiful Riviera Resort Palm Springs. Book your room right now before the Riviera sells out! 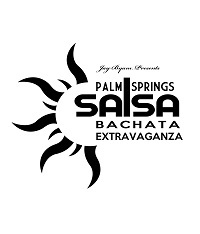 In order to receive the above rate please mention "Palm Springs Salsa Bachata Extravaganza"
Built in 1958 and modeled after Las Vegas hotels, this funky hotel is 2 miles from The Palm Springs Art Museum and 5 miles from Palm Springs International Airport. Swanky rooms with marble bathrooms feature Wi-Fi and flat-screen TVs; most have balconies or patios. Upgraded rooms add pool views. Themed suites offer sitting areas or living rooms with pull-out sofas; some have soaking tubs, wet bars and/or patios with fire pits. There's 1 with a Marilyn Monroe art installation. Amenities include a spa, a restaurant and 4 bars. A resort fee covers access to 2 outdoor pools with cabanas, plus a gym, tennis courts and a business center. PSDC has a no refund, no exchange policy. You may sell your ticket to someone else but you must contact PSDC with that person's full name. Weather Temporarily Unavailable. Check back soon.